Think about some recent greats in the major sports. Michael Jordan in basketball. Wayne Gretzky in hockey. Brett Favre in football. Upon hearing their names, chances are good that the first mental images conjured are those of Jordan clad in black and red, Gretzky in copper and blue and Favre in green and gold. Those are, after all, the colors they wore while winning championships, setting records and becoming the latest of the historic targets for future generations aiming to dunk, skate and scramble. Lest anyone forget, however, none of them ended where they started. Jordan wrapped up his NBA career with 120 starts as a Washington Wizard. Gretzky spent more time away from Edmonton than in it – winning exactly zero titles over 11 years in Los Angeles, St. Louis and New York after copping four Stanley Cups in nine NHL years with the Oilers. And Favre mixed three seasons of NFL play amid his various retirements and other post-Green Bay shenanigans, while never consistently approaching the levels he’d reached with the Packers. But in spite of the foibles – both professional and otherwise – their front-of-mind status is intact. For some ridiculous reason, though, it doesn’t translate to boxing. Instead, when it comes to the ring and the myriad fighters who’ve continued past their admittedly ideal vintage, the same forgive-and-forget leeway isn’t immediately apparent. It’s a conversation Floyd Mayweather might have if things don’t go well on Aug. 26. 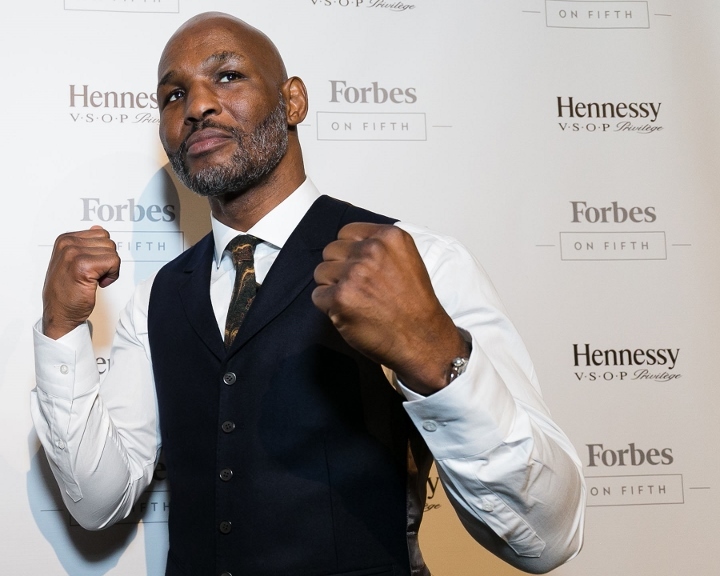 Most recently when it comes to legends, though, Bernard Hopkins’ return to fight Joe Smith Jr. last winter had the same tired “another black eye for boxing” tag hung on it that had previously been used to deride the extended careers of former champs Roy Jones Jr., Evander Holyfield and James Toney. As if a win, a loss or a draw against a 27-year-old fringe contender – Hopkins tumbled from the ring and was counted out in Round 8 after providing intermittent competition – would have any more impact on his end-to-end body of work than Jordan’s mediocrity, Gretzky’s anonymity and Favre’s frivolity. Universally known as “The Executioner,” Hopkins was initially a champion at middleweight at age 30, consolidated the 160-pound belts while running up 19 title defenses and returned from a brief hiatus before adding light heavyweight to his championship resume at age 41. He retained successful high-end relevance as late as age 49, when he pummeled once-beaten title claimant Beibut Shumenov after another retirement, and was half of a compelling pay-per-view just seven months hence when he met Sergey Kovalev in a 12-rounder at Boardwalk Hall in Atlantic City. And while he’d admittedly looked spent against Kovalev, it’s not as if anyone not named Andre Ward has ever fared better – before or since – than he did while going 36 minutes with the menacing Russian. Not to mention Smith, who’d laid out former IBO champ Andrzej Fonfara less than a round in his previous outing. So, with all that as evidence, it seems the now 52-year-old Hopkins’ biggest crime is simply being better than only 99 percent of the gloved flotsam and jetsam – rather than the 99.9 percent that he repeatedly bested during his peak efficiency stretch on either side of the arrival of Y2K. Not exactly a capital offense in a more reasonable court. And he’s hardly the first to be called before the judge. Ray Robinson lost five times in his final calendar year as a pro. A few generations later, Ray Leonard failed to exit the fifth round of a swan song against Hector Camacho. In fact, the one-time “Baddest Man on the Planet,” Mike Tyson, simply surrendered his career on the stool to a 6-foot-6 Irish wannabe. They weren’t the easiest things to watch, but none dulled the shine on plaques in Canastota. Certainly, everyone involved would prefer that the greats simply fade as they’re best remembered – Jordan with the Bulls, Gretzky with the Oilers, Favre with the Packers and Hopkins as the cagey wizard who handed Felix Trinidad his first legitimate loss in a post 9/11-Manhattan. But even if he returned to drop a dozen more fights, it wouldn’t mean the good days weren’t as good as the footage indicates, and it wouldn’t mean he’s compromised one bit of the respect, admiration and reverence he’d earned while reaching heights about which most rivals only dreamt. The legacies that created them should be, too. [QUOTE=ironmt;17960243]Are you seriously going to deny that Floyd Is a liar and contradicts himself? He admitted to It. [/QUOTE] I'm asking you not Floyd. So what were they? [QUOTE=j.razor;17959421]His personality seems normal....so what are the "a lot of things In his career that were nothing but lies and contradictions."?? [/QUOTE] Are you seriously going to deny that Floyd Is a liar and contradicts himself? He admitted to It. [QUOTE=aboutfkntime;17953946][IMG]http://www.diversityhuman.com/public/Sports/manny-pacquiao-marquez-meme-funny-pictures/marquez-pacquiao-knock-out-meme-beach.jpg[/IMG][/QUOTE] LMMFAO....That pic had me laughing for a straight min. Thank you.